Miniaturisation has stimulated major advances in design and transformed our expectations about the level of functionality we can expect from products ranging from washing machines to aeroplanes For example, within the last 30 years, mobile phones have shrunk from being the size and weight of a brick to something smaller than a chocolate bar and offer a wealth of connectivity options. Similarly, our cars are no longer simply a mode of transport: they are comfortable, air-conditioned capsules with entertainment and navigation aids built in, capable of self-monitoring and interaction with the user on aspects like traffic conditions, fuel consumption and service requirements. For automotive suppliers, these advances bring enormous benefits – but they also bring challenges, particularly during production. Electrification and miniaturised components not only require smaller fasteners, but also commonly use a mix of materials; combining advanced plastics with more traditional metals. Today, assembly lines therefore need to be capable of accommodating different fastening strategies by offering precise control speeds and much lower torque. They also need to support the need for traceability throughout the supply chain. It is clear that we need new assembly solutions to ensure that, while our components and products may be small, they are perfectly formed. Desoutter has responded to the challenge by developing the Nano Driver, a new transducerized electric screwdriver designed to meet the production challenges facing the miniaturization of components within different industries . The tool has numerous features to help users deliver extreme precision in small fastening applications, whether used manually or as part of a full automated production process. 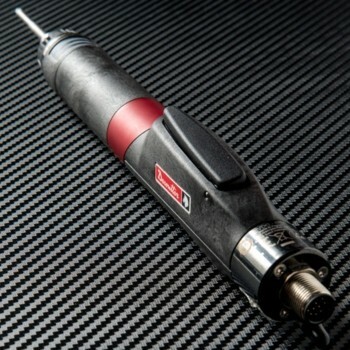 The Nano Driver’s inbuilt transducer directly measures and controls the torque as well as guaranteeing traceability. It features seating detection tightening strategy to ensure that components are fastened perfectly and without damage to the host material and also has a programmable vacuum system with an integral accelerometer, which improves visibility and accessibility in limited spaces. The design and mechanics perfectly fit automated systems; embedded screwfeeding system are also proposed for complete stations. Easily programmable, the Nano Driver is supported using Desoutter’s existing CVIXS controller and software. It is also compatible with universal protocols including Fieldbus, Profinet and Modbus, enabling the tool to integrate with most end-user communications platforms.